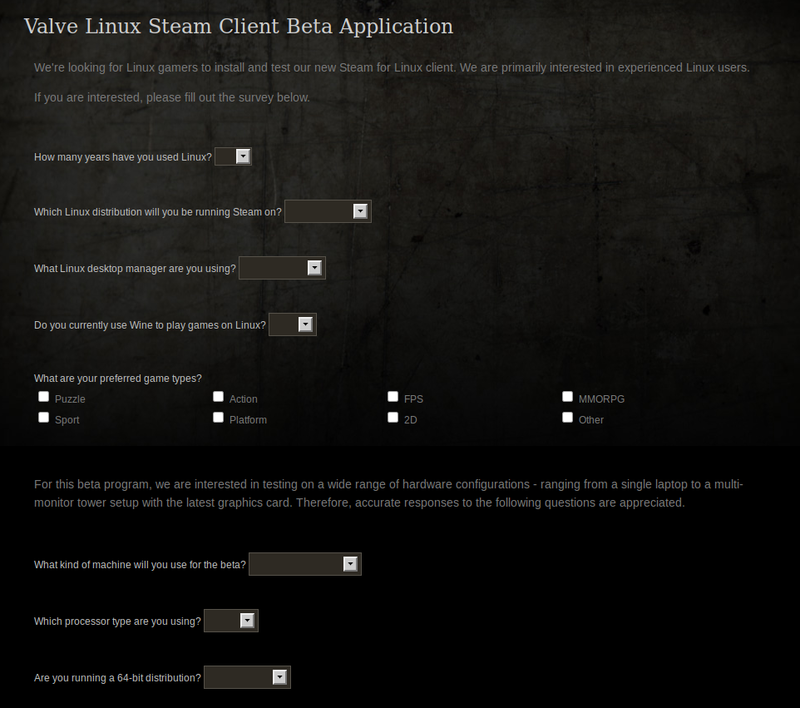 Valve has posted a Linux Beta survey which they will use to select the 1000 users who will test Steam for Linux. The questions range from what Linux distribution you plan on using Steam on, what are your preferred game types and quite a few hardware questions, like the processor type, the number of cores, the graphics card used and so on. 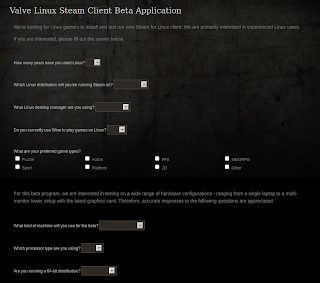 The lucky 1000 users selected to test Steam for Linux will be notified in the next few days.